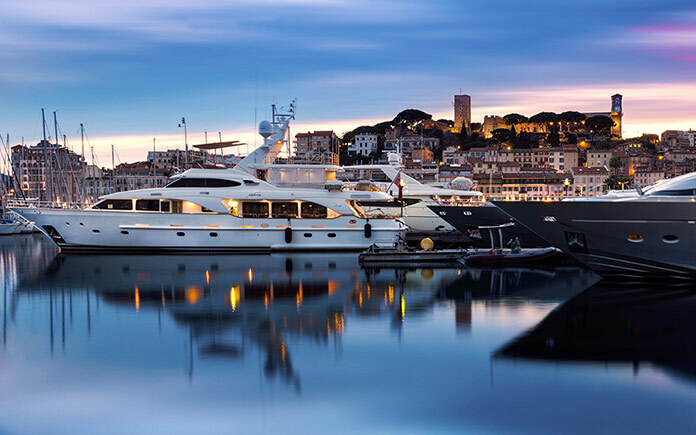 Cannes is a world-leading host of shows and exhibitions and a centre of inspiration for the creative and luxury sectors due to its natural beauty, luxurious hotels, its famous Croisette or the Old Port. Combining together the very best in yachts, cars, art, aviation, interiors and lifestyle, Cannes Collection had an array of fascinating brand names presented to an international clientele who hailed from the UK, Italy, Russia, the United States, Asia and South America. The distinctive setting of the Cannes Collection had the sensation of a discreet private sale for the variety of 60-plus brands presented, most of which have said they felt like members of an exclusive club by participating. This peaceful and welcoming environment provided the participants and guests the perfect time to converse and interact with the products on display, the greatest purpose of Cannes Collection. Guests who were significantly curious about yachts on display had been able to take sea trials throughout the show itself, which happens to be practically unique to Cannes Collection, and the experiential “try before you decide to buy” aspect crossed over to the motorcycles, helicopters and luxury cars on display. A curated exhibition, every single company on display was picked by founders Eric de Saintdo and Bertrand Foäche regarding their exclusive characteristics and exceptional position, beyond the often-misappropriated tag of ‘luxury’. Numerous exhibitors announced sales or strong desire for their products on display, such as works of art, fashion goods, sports cars (most notably Maserati and Ferrari) not to mention superyacht constructors Sanlorenzo and Sunseeker, the second of which received an offer for its 28m yacht on display, along with an inquiry for constructing two additional superyachts. Sunseeker mentioned that each day brought numerous serious potential new customers to their stands, and that the general calibre of those in attendance was very qualified to order superyachts. Several luxury brands have already started reserving for 2017’s event, both as returning participants and brand new ones, including Swiss watchmaking company Parmigiani Fleurier and a high-profile private jet manufacturer. The following edition of Cannes Collection is scheduled to take place in June 2017, even though there are anticipated to be a number of dynamic and innovative supporting activities and partnerships involving the organisers and a range of partners over the coming 12 months. The earliest of these will most likely take place just before mid-september, and will eventually require dealing with some very special classic car organizations.